Store Coach Review - How Good is This Course? Can the Hermansen Brothers Coach You to eCommerce Success? If you’ve ever thought about building an online store selling physical products, you may well have come across the web-based training program, Store Coach. The 3 guys behind the training – the Hermansen brothers – claim they can teach you their 7-phase process to launching an ecommerce business that can have you earning a consistent and steady income, from the comfort of your own home. So, is this course any good? Let’s find out. I’ve been familiar with the training since it first launched, so think I’m in good position to make a thorough Store Coach review. Exactly What is Store Coach? Who are the Hermansen Brother’s? Will This Work if You’re Based Outside the US? So, Would I Recommend Store Coach? A few years ago, the Hermansen brothers were behind a similar course on creating drop ship stores called Niche Blueprint, in partnership with some other people. Well, it was Niche Blueprint where I actually got my start in this business and it was a great course! That partnership eventually dissolved, however, and the product was discontinued. The two parties involved went their separate ways (on good terms I believe) with one half going on to create other courses and software like IMeye while the Hermansen’s went on to do their own thing with Store Coach. 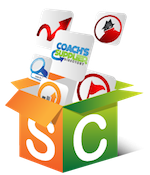 Store Coach is a web-based training program outlining the steps to launching a successful ecommerce store from scratch. It covers everything, from finding a niche and doing market research to building your store, promoting it and maximising profits – with a lot in between. Much of the training is actually free and openly accessible but they also offer a paid upgrade to a “Pro Membership”, giving you extra privileges. The course is primarily text based with supplemental videos and is organized in step-by-step fashion complete with to-do lists and resources along the way. Pro Membership gives you additional access to advanced tips and tutorials, software to make certain tasks easier, a community forum as well as direct access to the “coaches”. The program is very much geared towards selling via a “drop ship” business model (see below) but is never the less complete ecommerce training that can be applicable no matter how you source your products i.e. if you want to buy in bulk and physically stock items in a warehouse or you have your own range of custom made products you want to sell online, much of the process will be the same. As a beginner, your best bet will be to work with suppliers on a drop ship basis, whereby they ship your products directly to customer on your behalf. You sell an item on your website at retail cost. You then forward the order to your drop ship supplier and pay them your wholesale cost. Your supplier will then ship the product directly to your customer without your physical involvement. The difference between what your customer pays you and what you pay your supplier is your profit. Simple. You don’t have to buy any products upfront or in bulk, stock any items, ship them out yourself or physically deal with returns, thus avoiding many of the headaches involved with traditional commerce. And it means you can operate your business from anywhere in the world with an Internet connection. Drop shipping is how the Store Coach boys have had most of their success so, as I say, their training is very much geared towards this business model. You have the main “Coach” Dave, along with his brothers and “Assistant Coaches” Mike and Kevin Hermansen. Having been involved in online business for the last decade or so, they have apparently created and sold over 60 profitable ecommerce stores between them, and it’s quite easy to see that this it true. Dave has been featured in the media about his success including in the New York Times and on Fox News, and it’s even possible to find old listings of sites they’ve sold in the past. Aside from knowing their process works – because I’ve used it – I’d say these boys have some good credibility. Now you know what Store Coach is, what you’ll actually be doing and whom you’ll be learning from, let’s get to the good stuff. First off, while much of the training is free, is this one of those courses where you really need to be a paid member to see success? Well, kind of. To be fair, a LOT of the training content is freely available and I’d say it is technically possible to see success by following only the free advice, however, it will be harder. As you go through the step-by-step process, you’ll see that some content is only available to Pro Members and some of this advice and some of the resources are kind of necessary. The first time you encounter this will be early on in Phase 1: Market Research. Part of the niche selection process involves finding keyword search terms that you can build a store around and ultimately rank for in Google and other search engines. Enter: the “Pro Keyword Tool”, only available to paid members. They do teach you the manual process for doing what the software does in seconds, but it is quite different to entering in a few words and pushing a button. This is the first point you’ll wish you were a Pro Member. If you’re very familiar with SEO and analyzing search engine results pages and/or have access to another keyword research tool then you’ll be at an advantage but for a complete beginner, I’d say the Pro Keyword Tool is pretty important. Finding a good market to enter is by far the most important component that determines the ultimate success of your store, so you need to get this part right. Frankly, everything else is quite easy. I’d almost go as far as recommending that you get your keywords checked and approved by one of the coaches prior to developing your site but of course for that, you also need to be a Pro Member! Add to that the community forum, invaluable for answering any questions you have along the way, and you can see how being a paid member vs. a free member offers quite a different experience. It Works! Primarily, the advice and process within Store Coach works, so I like that! I myself have built several ecommerce stores largely following the 7-phase process so can vouch for the effectiveness of the teachings. Incredibly Comprehensive: I also like how comprehensive the course is. Honestly, that’s probably the best word to describe it as no stone is left unturned. In fact, it can probably look a little overwhelming if you look too far ahead in the training. There is a LOT of ground covered but I think this is a good thing and all the information is very logically laid out and organised. A big plus. The Community Forum: If you’re a Pro Member, I think the community forum is invaluable. You will no doubt have questions along the way or run in to roadblocks unique to you – you’re building a real business here – so being able to communicate with other people that are familiar with the training you’re following, and also being able get expert advice direct from the “coaches” and other successful students is an incredible resource. The benefit to private forums connected to a course like this is that it filters out a lot of the noise you get with free, public forums. Private forums are generally less polluted with questions that are easily answered in the course material and you don’t get conflicting information from members that may have a financial incentive in telling you certain advice. The Store Coach forum is moderated and overseen by the “Coaches” and other qualified members so you can be sure any advice you get is expert approved. Direct Access to Experts: Being able to reach out directly to the “Coaches” is a HUGE plus and one I would recommend you take advantage of. For example, as I said previously, I would very much encourage you to have them give you their opinion on your chosen niche/keywords. Rather than publicly asking on the forum, get a private opinion. Useful Tools and Resources: I think the tools and software are pretty good. The Pro Keyword Tool is good and they have a special arrangement with a Merchant Account Provider (so you can process credit cards), which is pretty darn awesome if you’re based in the United States. Shopping Cart Choice: The SC course highly recommends BigCommerce and a lot of the advice and recommendations are specific to that shopping cart. They even have a load of advanced tutorials dedicated to it. I’ve used BigCommerce myself for several stores now and have a love/hate relationship with it, however. I’ve subsequently built recent stores with Shopify and while it still isn’t perfect, I prefer it to BigCommerce. See this post for a thorough comparison. If you were to use Shopify whilst following the Store Coach system, a lot of the tutorials around building your store won’t be applicable, at the least the technical ones. All the principles of the course apply of course, no matter what shopping cart platform you’re using, but if you ever need help with something other than Bigcommerce, no one in Store Coach will be able to help you. I’d say if you’re building your first store and want to follow the Store Coach training, then use BigCommerce. For subsequent stores however, or if you’re prepared to do your own research on how to implement certain Store Coach recommendations on Shopify, give Shopify a try instead. UPDATE: Store Coach actually now recommend 3dcart as their shopping cart software of choice. Pro Keyword Tool Only Works for USA: This is a bummer for folks based outside of the States. You can absolutely follow the Store Coach system if you’re based outside of the US but the Pro Keyword Tool only analyzes keywords in the US version of Google. As an International member, you could use the keyword tool and build a store targeting the US but if you want to build a store targeting your home country, then the tool is useless to you. You can’t presume the results the tool gives you for certain keywords will apply to your home country; they will be completely different. Yes. You can either build a store targeting your home country or build a store targeting the US, even if you don’t live there. There are pros and cons to each. Based on my experience as a UK resident, I would recommend targeting your home country due to familiarity and less hassle with conversion fees and international transaction fees among other reasons. The main problem with doing this in regards to Store Coach is that, as mentioned above, you can’t use the Pro Keyword Tool. This is something you will have to decide on when settling on what niche to go after, but aside from the Pro Keyword Tool, everything else is applicable to building a store in your home country. Following on from what I like and don’t like, I want to talk in a bit more detail about Phase 5 of Store Coach, specifically the Insanely Simple Marketing Plan. This is where you learn about Search Engine Optimization (SEO) and how to ultimately rank your site in Google. The first thing I would say is that if you’re new to SEO, this section is a very good way to learn the basics and sets some very good principles of “white hat” SEO. It’s textbook advice that will stand you in good stead. Some of the link building strategies are excellent and it’s worth your time implementing them. Beyond building backlinks, the next part of the Insanely Simple Marketing Plan involves blogging and building a social following for your store. This is good, at least on paper. It is essentially content marketing whereby you create interesting content on your website and, along with an active social presence, promote this content. Over time, the idea is that as your following grows and people share your content, you generate visitors and also get links naturally. It’s excellent in theory and when it works it can be great but my main concern is the length of time and expense it takes to see measurable results with this strategy, if any. It’s far from guaranteed. My advice would be to put a lot of effort into getting solid backlinks using the given strategies and don’t expect miracles from the content marketing side of things. By all means do it, but keep a solid track on progress and don’t presume it will be enough to get you rankings without solid backlinks. In addition, I would put more weight into paid promotion, which Store Coach does a good job teaching you about. The closest alternative to Store Coach would probably be the Drop Ship Lifestyle course. I’ve written an extensive Drop Ship Lifestyle review, where I cover specifically how it compares to Store Coach. See Store Coach vs. Drop Ship Lifestyle. I would definitely recommend Store Coach to certain people. The training is incredibly comprehensive whilst being well laid out and easy to follow, and most importantly, it works. The training is very much text based with only a small reliance on videos so if that’s OK with you or even preferred, Store Coach is for you. The course is very SEO focused from the niche selection process to the store building process to the promotion process, so if you’re happy with that, Store Coach is for you. For this type of website, search engine traffic can make up a large percentage of overall traffic and can be some of the most profitable, however, SEO isn’t for everyone. Personally I love it but I know some people seem to have an aversion to so all things SEO so if that’s you, maybe try a different course. If you’re happy with using BigCommerce as your shopping cart software, then Store Coach is for you. If you particularly want to use a different platform then by all means do but bear in mind some technical things will be different from what Store Coach teaches. Hopefully you’ve found this Store Coach review helpful with some of my insight and opinions. Ultimately, this training works, so if you’re prepared to go through the process, get stuck in, ask questions and most of all implement what you learn, Store Coach will prove to be an excellent resource in teaching you how to build your own ecommerce empire. Can Anton Kraly Help You Build a Drop Shipping Empire? Should You Trust WPX Hosting with Your Online Empire? The main reason I took the time to bring this up is because Store Coach’s original choice of Big Commerce was one of your main “dislikes” about Store Coach. Their shift from Big Commerce to 3dcart is a very big deal and probably deserves even more attention than you gave in your simple update paragraph. Overall a great article though. I intend to update this review a little bit more but have been occupied with my own businesses recently. Honestly, I don’t think the change to 3dcart as their shopping cart choice changes that much compared to them recommending Bigcommerce. I don’t have direct experience with 3dcart myself so can’t give my personal opinion but I’ve researched it quite extensively and communicated with other business owners that have used it. The verdict seems to be that it’s a little clunky and still stuck in the dark ages with some things. I imagine Shopify is still better and I’m not sure why the Store Coach boys don’t use it. 3dcart probably works out cheaper but as I say in my comparison post, with a shopping cart solution it’s probably wise to base the decision on more than just cost.